BE YOURSELF - Follow your regular makeup routine for your consultation. DO NOT wear any makeup the day of your procedure. LEAVE THE HAIR ALONE - No tweezing or waxing less than 48 hours prior to procedure; electrolysis, 5 days. The same goes for any eyelash or eyebrow tinting. BRING YOUR GLASSES - DO NOT wear contact lenses during or within 48 hours following the procedure. If you are uncomfortable sans contacts, you might ask a friend to accompany you home after the appointment. DON’T DO DRUGS - Please refrain from the use of alcohol, asprin, ibuprofen, or other blood-thinning medications for 7 days before and 2 days after any procedure. No medication should ever be discontinued without first consulting your physician. We will offer a skin test upon request. GOOD THINGS COME TO THOSE WHO WAIT - All permanent cosmetic procedures are a multi-session process. You will be required to return for at least one touch-up visit 4 to 6 weeks following your appointment. PATIENCE! PATIENCE! PATIENCE! - It is common for the initial color intensity of the procedure to be significantly sharper, brighter, or darker than the expected outcome. It will take some time to transition. ICE ICE BABY - An ice compress with a protective cloth may be applied to reduce swelling. DO NOT use ice packs on lip procedures. DON’T TOUCH - Some itching/irritation is normal. DO NOT PICK, PEEL, OR SCRATCH THE TREATED AREA. This will affect results and can lead to infection. NO MAKEUP - Do not apply any makeup on the tattooed area for 3 days after the procedure. 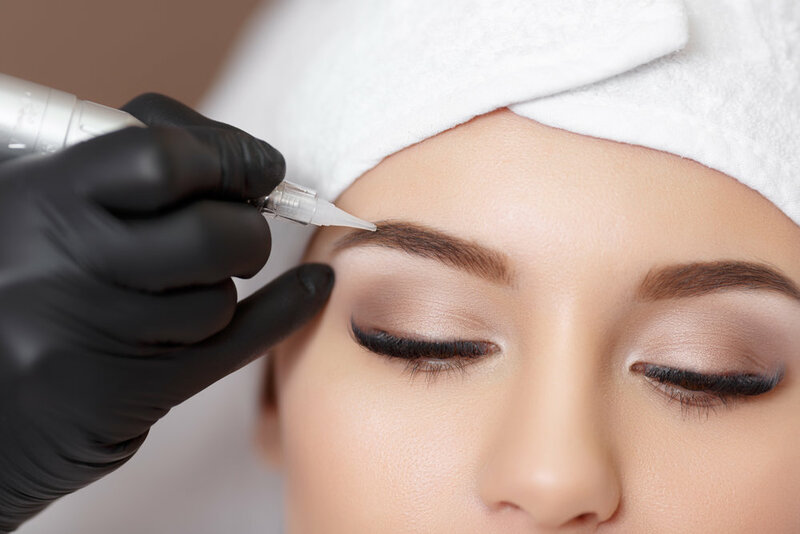 When you resume your normal routine, it is advised to replace your old makeup and use only new eyeliner/mascara after your treatment to avoid infection. BE CAREFUL - Do not expose your healing skin to direct shower spray, creams, ointments, or lotions other than what you have been instructed to use for 3 days following the procedure. USE YOUR HEAD - DO NOT expose your healing skin to direct sun, tanning beds, hot tubs, salt water, chlorine, or extremely hot water for 2 weeks after your appointment. USE SUNSCREEN - EVEN ON YOUR LIPS. Just do it.